Elaine Sosa Labalme gives us the scoop on this hot oasis in the desert. 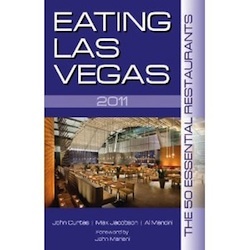 Monty Preiser reviews 67 spots and tells us that the great chefs of this country have opened restaurants in Las Vegas and raised the bar for fine dining to a very high level. Stephanie Zonis showcases off The Strip establishments that are worth patronizing in both Las Vegas and Henderson, as well as Pastry, Chocolate, Gelato, Cheese and Wine shops. From bars, gaming, restaurants, entertainment & spacious rooms, Michael Wallace says the Mandalay Bay in Las Vegas has it all. GraceAnn Walden reports on her findings at the 13 restaurants at this opulent Italian-style hotel. Michael Wallace visits The Fontana Bar and Lounge in Las Vegas. Gems discovered when Monty and Sara Preiser took the time to visit "off the beaten path" of Las Vegas. Monty and Sara Preiser, frequent Las Vegas visitors, rave about this off-the-strip hotel. 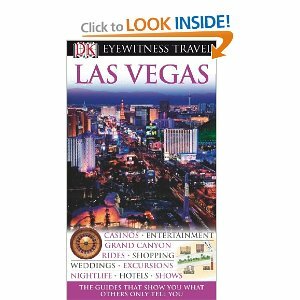 "From glamorous hotels, excellent restaurants, casinos, health spas, shopping and golf--Las Vegas has it all!" says Sally. Sally enjoys this Ritz-Carlton in Henderson, Nevada, 17 miles from the bustling Las Vegas Strip. Monty & Sara Preiser rave about the rooms, staff, casino, and spa at the Wynn Las Vegas Hotel but especially the myriad of restaurants on the property. Expect to be dazzled! Elaine Labalme asks, "Is this really a good place to bring your kids?" And her answer is YES! Sally offers a vacation guide for anyone heading to this beautiful alpine lake in the heart of the Sierras. Samantha Bernstein enjoyed the hotel and night life in Lake Charles, Louisiana, including their non-stop Vegas-style casino. Walter and Cherie Glaser showcase this extremely popular destination for holiday makers from England, Scandinavia, Germany and France. Tourists also visit Sharm El-Sheik at the tip of the Sinai Peninsula for its miles of upscale hotels and casinos. Most online casinos offer bonuses to its players but make sure you understand important things about these various offers. Read this article to learn a lot about how to find the best casino welcome bonus and to accurately evaluate the best casino deposit offers. Worldwide travel would not be complete if you didn’t indulge in a little casino entertainment once in a while. But for those who’d rather travel in the online virtual world there are plentiful options such as playing blackjack for real money. Popular online card games such as real money poker are also a great way to navigate the world of online casino sites. Casino Game Guides by thepogg.com aka The Player's Online Gambling Guide. ThePOGG has more than just detailed game guides but also the toughest list of recommended casinos around. Casino players can also use ThePOGG's casino complaints service in the event you have a dispute with an online casino. Online casinos have become popular worldwide with an increasing need for local information such as the casino experts offer on NZonlinecasinos.co.nz. There are many casino destinations in Canada with the option to play online. Casinocanuck.ca provides the inside information about casinos in Canada. U.S.A. players should be aware that there are many real money casino gambling sites on the Internet. However there are only a few who stand out the most. PlaySlots4RealMoney.com only lists sites that have the best games so you can click here to win actual money or compare the ratings in detail. There is no bigger resource of reviews we can suggest. OnlineCasinos.co.uk reviews some of the largest UK online casinos for gamers to play at, as well as their guide will assist players in finding the best online casino games and latest bonuses. Think Jurassic Park and Terminator 2 at Fruity King. Sally teaches culinary classes and has some fun at the onboard casino. John Curtas is the restaurant critic for KNPR and KLAS radio stations; Max Jacobson writes about food for Seven Magazine, and Al Mancini pens a weekly dining column for the alt-weekly Citylife. 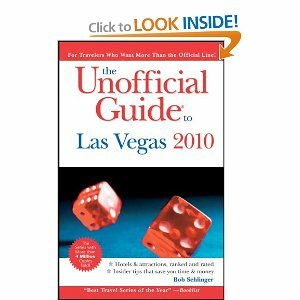 This paperback ranks over 100 hotels and casinos providing complete detailed descriptions of each casino hotel, in-depth critical reviews of Las Vegas' 60 best shows and 30 top nightspots, detailed reviews of more than 100 restaurants and fifty pages of gambling tips. 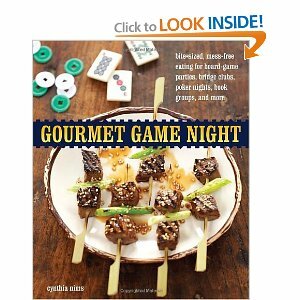 Gourmet Game Night: Bite-Sized, Mess-Free Eating for Board-Game Parties, Bridge Clubs, Poker Nights, Book Groups, and More by food writer Cynthia Nims. These recipes cater to an updated game-centric gathering.